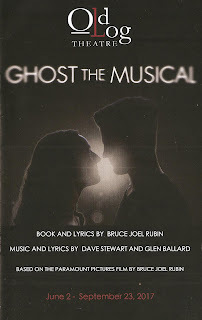 Old Log Theatre's contribution to the summer blockbuster musical is Ghost the Musical, based on the popular 1990 movie. It premiered on Broadway in 2012 and ran for only a few months, and when I saw the tour the following year I was not impressed. 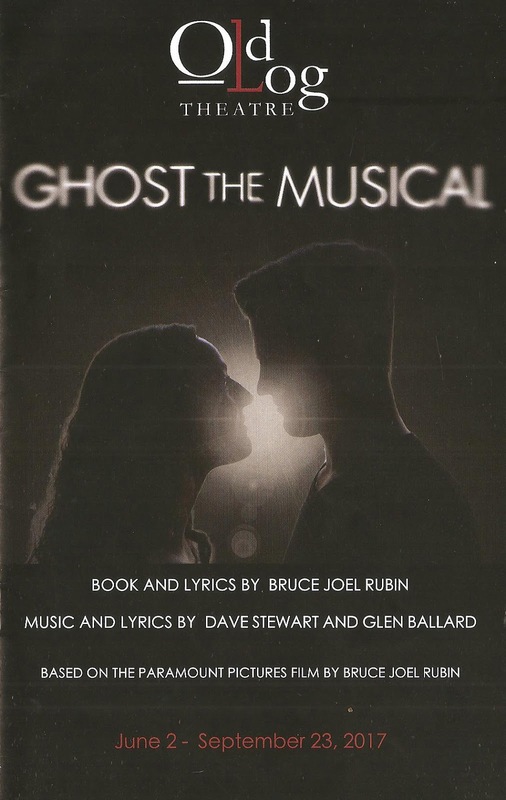 At the time I wrote, "At its core, Ghost is a small intimate love story, but Ghost the Musical is a big splashy techno-heavy 'show,' in which the beauty of that story gets lost. The story would be better served with less tricks, a smaller cast, fewer showy songs, and a greater focus on what we really care about - the relationship between Molly and Sam." I'm thrilled to report that Old Log has done just that. The score, which is quite good, the story, and the relationships between the characters are more the focus of the show, with lower tech effects that serve the story rather than drawing attention away from it. 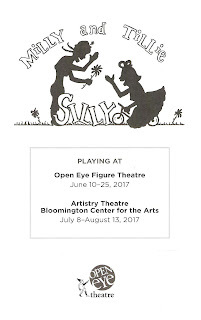 If you're looking for a satisfying summer musical experience, head out to Old Log Theatre, one of the oldest theaters in Minnesota, in lovely Excelsior on Lake Minnetonka. 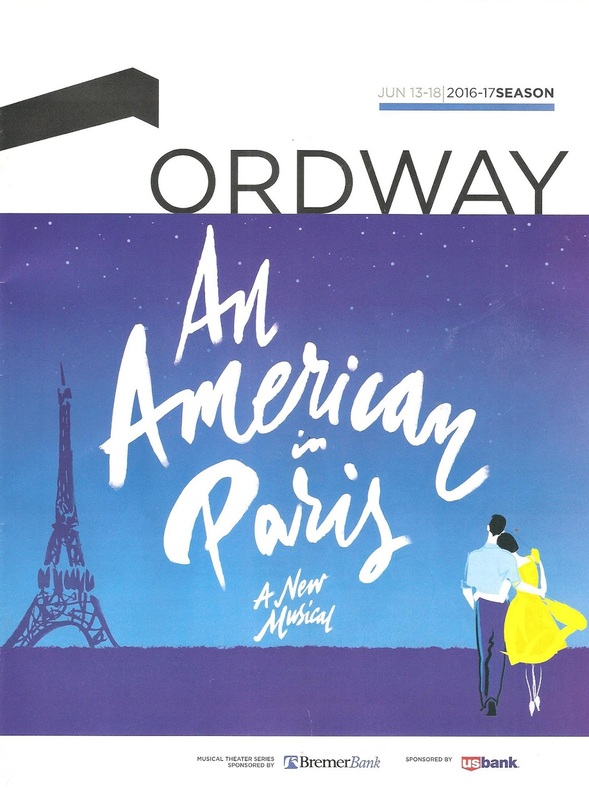 The 2015 four-time Tony-winning Broadway musical An American in Paris is currently touring the country, stopping at St. Paul's Ordway Center for the Performing Arts for just one week. 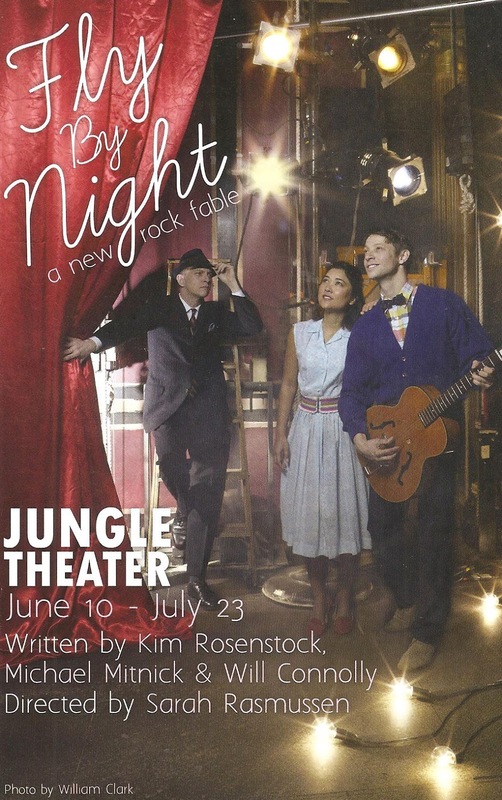 Based on the classic 1951 movie of the same name, this is a movie-to-musical adaptation that makes sense. The film itself (which I admittedly have never seen) was inspired by music, George Gershwin's "jazz-inspired symphonic poem" An American in Paris, and is filled with several other of Gerswhin's songs (with lyrics by Ira Gershwin) and dancing. Lots of dancing. 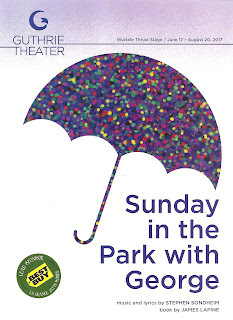 The stage version (with book by Craig Lucas and direction/choreography by Christopher Wheeldon) has slightly adapted the story, added and removed Gerswhin songs, and thereby turned the movie into a thoroughly enjoyable dance musical. I've heard that the reason to see this show is the dancing, but I found a few more reasons to see it. Read on to find out. Although it became and still remains the highest grossing film of all time (adjusted for inflation), Gone with the Wind had an infamously difficult beginning. Producer David O. Selznick bought the rights to the popular book shortly after it was published in 1936, and spent years obsessing over every detail of the production, hiring and firing directors and screenwriters along the way. 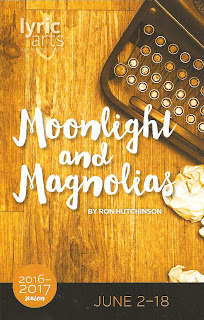 The play Moonlight and Magnolias, which premiered at Chicago's Goodman Theatre in 2004, imagines one week in this years-long process in which Selznick locks himself in his office along with screenwriter Ben Hecht and director Victor Fleming to rewrite the script after filming has already begun. The play is part hilarious look at Hollywood and what makes it tick, part recap of the popular movie, and part exploration of the balance between making a movie you can stand behind and giving the people what they want. 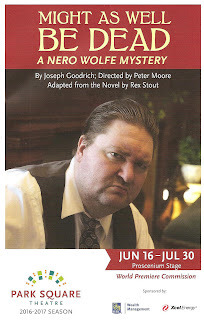 Lyric Arts' production is fast and funny, with a strong four-person cast that works and plays well together. If you've read my "About Me" page or seen that recent article in the Pioneer Press (or my left forearm) you know that RENT is not just my favorite musical, but one that will forever hold a special place in my heart. I can't explain why. Part of it is timing; I was in my early 20s when it premiered in 1996, just like the characters, living on my own for the first time and trying to figure out this thing called life (which I'm still trying to figure out). But more than that I just connected to the story, the emotions, and the message of the piece. A beautiful message of life, love, community, and light in the face of the darkness that surrounds us, one made even more poignant by the death of its creator Jonathan Larson the night before RENT's first performance off Broadway. I never tire of seeing it and never pass up an opportunity to see it - I've seen every tour that has come through the Twin Cities since the first national tour in 1997, I've seen it once on Broadway and once off, and I've had the pleasure of seeing two local productions. 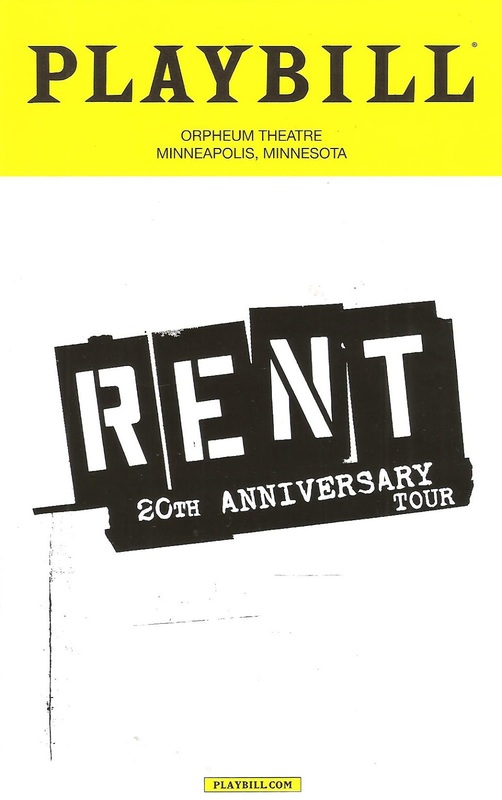 Now RENT is on the road again with the 20th anniversary tour, a production filled with as much life, heart, and energy as ever. And it's stopping in Minneapolis for just one week only. Whether it's your first, or 15th, or 100th time seeing it, RENT is a joyful, moving, inspirational experience. On a hot, sticky. busy, loud, crowded afternoon in Uptown (which is quickly becoming my least favorite neighborhood in which to see theater due to the never-ending traffic, construction, and parking difficulties), I found a cool, sweet, pleasing oasis in the SpringHouse Ministry Center. Theatre Coup D'Etat's production of the one-act 1990 Off-Broadway play The Baltimore Waltz is a funny, charming, poignant little waltz of a play. 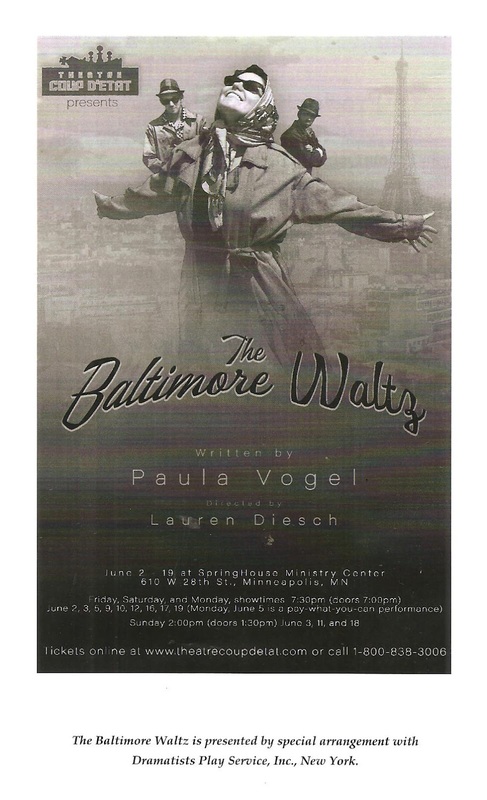 Playwright Paula Vogel wrote the play in response to her brother's death, and that sense of nostalgia, grief, and the ephemeral joy of life permeates every scene. 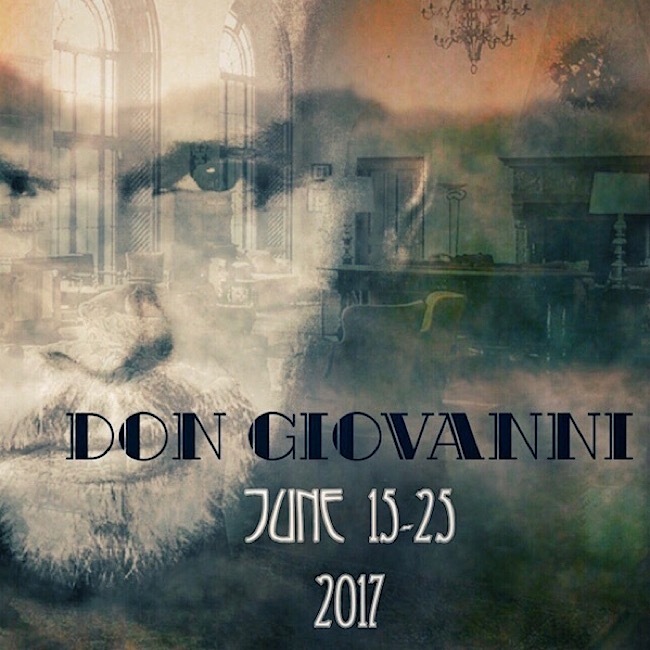 The appealing three-person cast in the intimate setting sweep the audience up with them in this fantastical journey of the imagination. 22 years, 5 months, and 5 days ago, I was a math major studying abroad in Salzburg, traveling around Europe during the winter break. 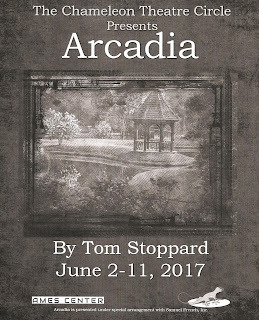 While in London, my friend suggested we go see this play called Arcadia (she was a fan of the playwright Tom Stoppard because of his play Rosencrantz and Gildenstern Are Dead, which was made into a movie in 1990). We did, and I immediately and absolutely fell in love with it, so much so that the next day I bought the script from a bookstore (to date the only script that I own). I've only seen it twice since then - once at my alma mater a few years after I graduated, and once at Theatre in the Round 14 years ago. 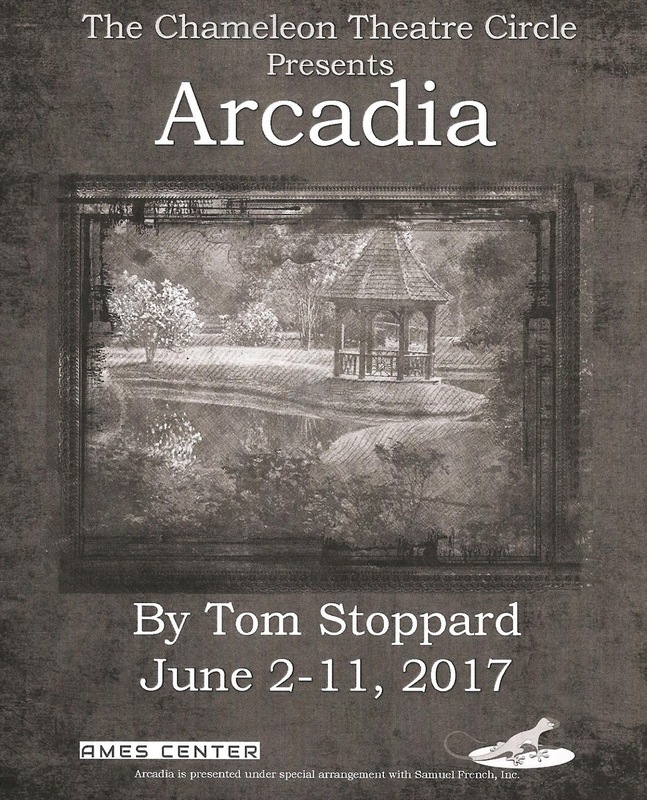 I re-read the play a few months ago in anticipation of Chameleon Theatre Circle's production this month, and was once again entranced by Stoppard's brilliantly clever mix of math, landscaping, poetry, romance, academics, and comedy. 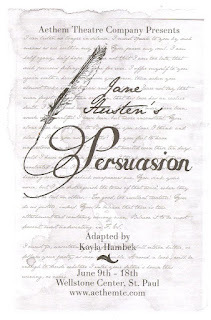 Last night, I was thrilled to watch it come alive before me in Chameleon's excellent production with a really wonderful cast, elegant design, and clear direction. 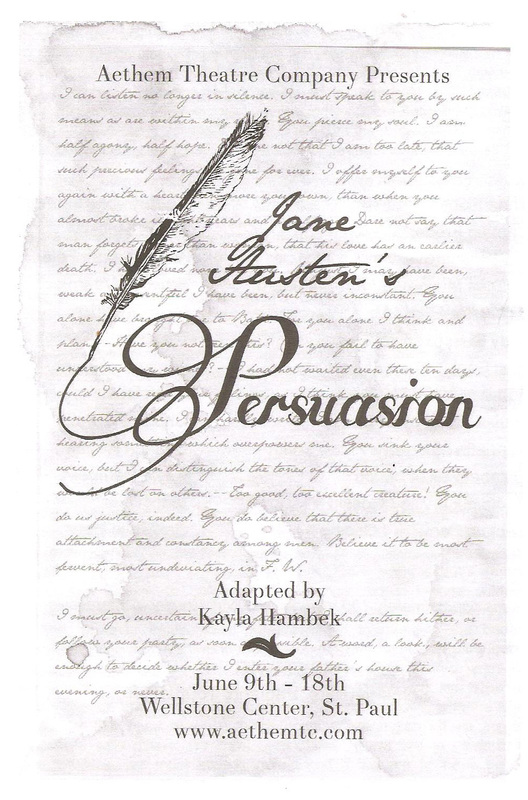 It's quite a treat to revisit a play I fell in love with 22 years ago, and discover I love it even more now. 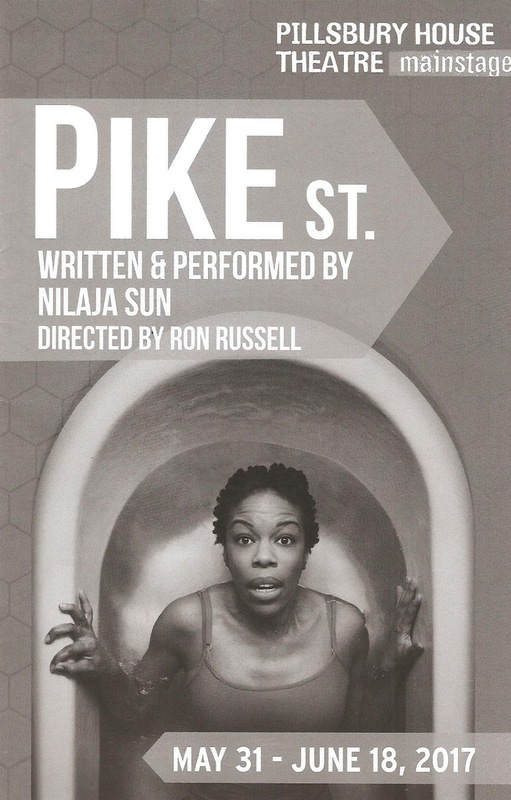 Pillsbury House Theatre is hosting New York based theater artist Nilaja Sun's acclaimed one-woman show Pike St. for three weeks, and my Minnesota theater friends - this is an opportunity you don't want to miss. A native of the Lower East Side, Nilaja brings all the beauty, diversity, community, and difficulties of her neighborhood to life in a show so all-engrossing, it's a shock to the system to be returned to reality after 90 minutes. 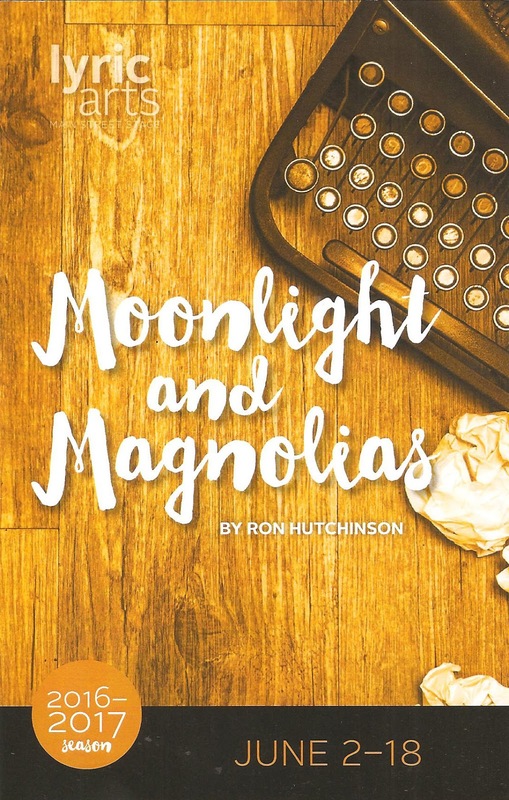 She tells one specific story of a family in a hurricane, playing all of the different characters, but it's so much more than one family's story. It's about returning war vets, the joys and frustrations of living in a close community, the joys and frustrations of caring for a child with special needs, family, love, loyalty, and New York City - "the greatest city in the world. *" Pike St., which Nilaja also wrote, is a remarkable piece, and hers is a remarkable performance. Reserve your ticket now, it's the best $5-25 you'll spend today. About 15 years ago, Pulitzer Prize-winning playwright Suzan-Lori Parks gave herself a challenge - write a play every day for a year. 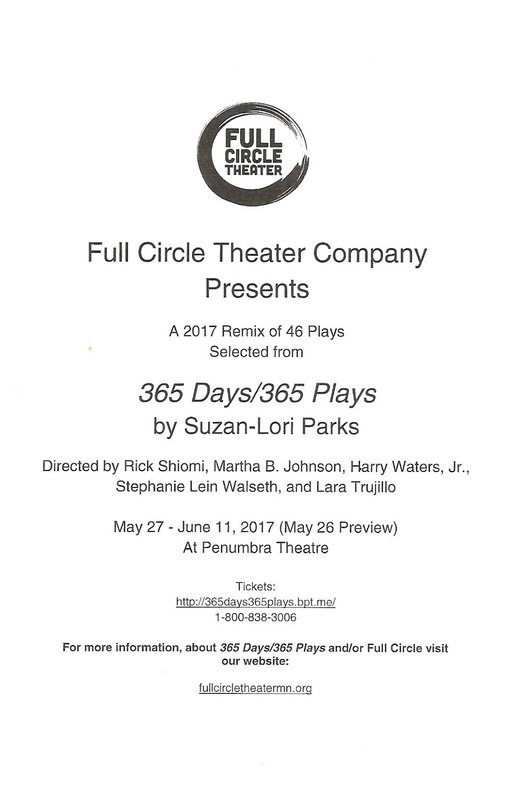 New #TCTheater company Full Circle Theater (they've been around a couple years but this is just their second production) has chosen to produce a "remix" of 46 of these plays in just over two hours. 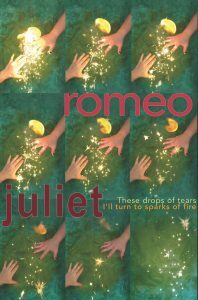 The result is a mishmash of stories, characters, and conversations, seemingly unrelated, but with some common threads to be found. 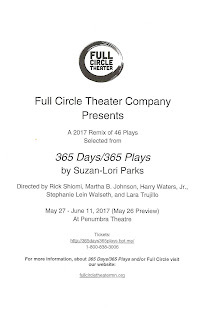 Full Circle is intentionally multiracial, with a mission "to produce heartfelt, groundbreaking theater that artfully addresses issues of human nature and social justice for 21st century audiences." A wonderful goal, and 365 Days/365 Plays is an interesting, perplexing, thought-provoking step towards it.